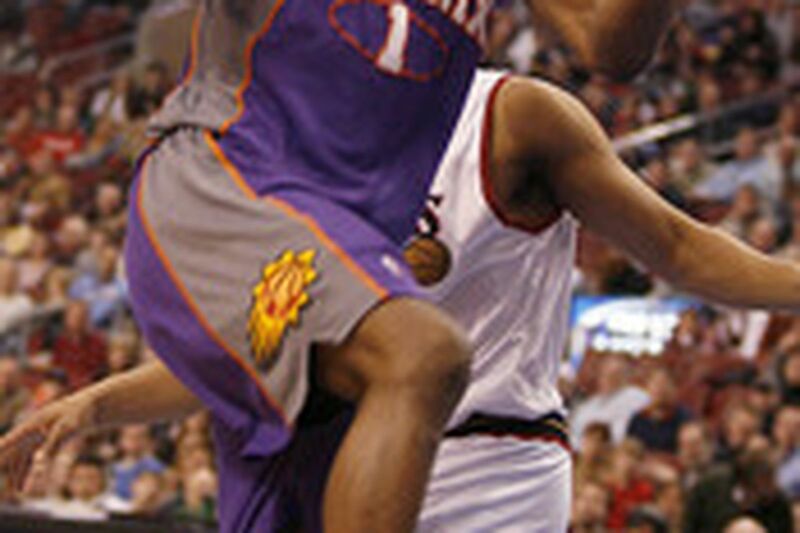 The Suns' Amare Stoudemire loses the ball as he goes up for a layup in the first quarter. The Sixers' Andre Miller is behind him. Going into the game, the 76ers did not appear to be such a big obstacle for Phoenix in the Suns' attempt to make NBA history, but they proved to be an unusually formidable force last night.